Are French football teams doomed when they play versus an “Old Lady” from Turin ? One might think so, as Juventus left the Louis II Stadium with a precious away victory (0-2) their 16th one( + 6 draws and 3 defeats in 25 games vs France’s clubs). 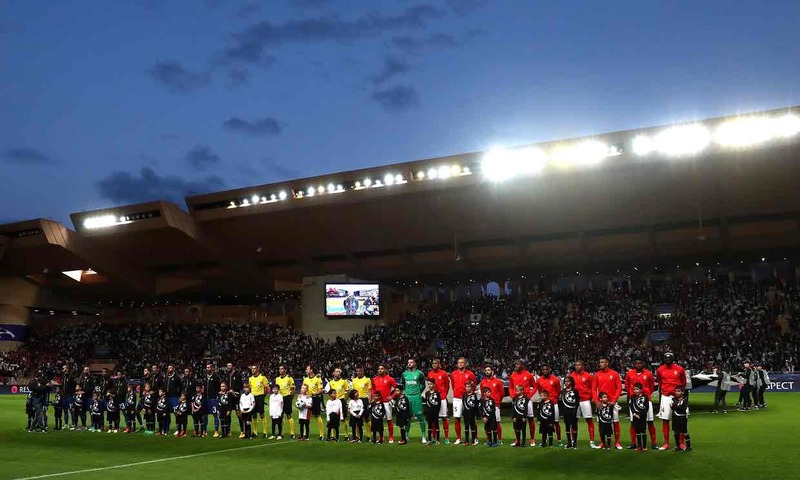 Monaco will need some steel backbone, when they’ll face the Italians in their homeground next week, but will they ? They’ll have to score at least three goals without conceding, against a team who conceded only two during the current Champions League, season. Juve entered the game playing as if they were the home team, showing their worth since the beginning; they came to Monaco to win and nothing else! Dani Alves showed the way and “Old Man/ Legend Gigi Buffon, was always in the perfect place to deny Jemerson(12th), Mbappé (15th) and Falcao(19th). It was a throw from Buffon that gave the ball to Alves and created the first Italian goal( Higuain 29th). The Monegasques didn’t throw the towel though; they started the second half more focused but once again Buffon was imperial and kept his team’s clean sheet in front of Falcao(46th), Mbappé(50th) and Silva(51st).It was during that period when the Monegasques were trying to come back in the game that the second Italian goal came; after Monaco’s goalkeeper Subasic’s save from Marchisio(55th) Glik lost his man and Higuain(again!) found the net. Game, set and match; Monaco’s boss Leonard Jardim tried to add some new blood(Germain, Moutinho) but it was obvious that Monaco’s players not only lacked the necessary technical ability to outplay their Italian rivals, but also a minimum of freshness; that game was the 58th of the season! This Champions League game showed Monaco’s weaknesses; being the youngest team in the competion is not always an advantage, just look how lively was Mbappé during the first half and how he stepped down during the second ! Needless to add that Juventus showed that experience (and of course, talent) can take a team on the top! ‹ France – Spain 0-2 (friendly) Review and Players Ratings …Or When Video Stars !